Are you in the game? Should you be in the game? How did gamification become a word? 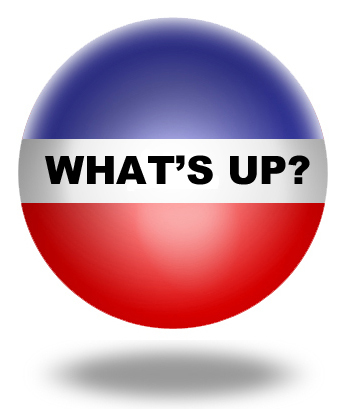 What’s up? Gamification is rapidly flooding into the workplace and customer engagement vocabulary. Game experts are declaring that there are innumerable benefits from the application and transfer of the practices and principles from games to the workplace. By 21 years of age many males will have spent over 10,000 hour immersed in online gaming and according to Jane McGonigal 3 billion hours a week are spent by people engaged in gaming. Last Friday walking up the aisle of a fifty seat United flight from Chicago to Winnipeg I spotted 15 people engaged in games from Sudoku to computer and ipad games. So What? This industry has made massive study and progress with engagement. They have taken the balance between challenge and skill in flow states and fully operationalized this mechanism to keep people engaged, even glued to games. We who are in the workplace and the field of employee engagement have much to learn by studying and applying the principles and practices of gaming. We also must not get caught by gamification hysteria by keeping a focus on the limits and potential traps embedded in gamification. Reflect on your own experience with games and how engaged you get with games ranging from golf to online social games. Read Gabe Zichermann and Christopher Cunningham’s, Gamification by Design. Play Freerice a game that asks basic questions and makes small steps to feeding the hungry, click here. Jane McGonigal: Gaming can make a better world: If the video does not load, click here. Tom Chatfield’s 7 ways games reward the brain. If the video does not load, click here. Christoph Sebastian Deterding’s Meaningful Play: Getting Gamification Right. If the video does not load, click here. What I think. I believe gamification is one of the key engagement approaches and tools for 2011 and beyond. I think the big challenge will be to ensure these approaches are meaningful, authentic and operate for conversion into work rather than a diversion from work. We must be on guard for the manipulative elements of gaming and the potential lack of spontaneous playfulness in work. We must be aware of the potential negative impact of gamification to foster engagement, achievement, and work. Having said that, I believe gamification can be a very valuable tool towards fuller engagement and corporate social responsibility. In addition, if you would like to view numerous well-designed slide presentations on gamification click on the Slideshare image below or click here. David Zinger loved pinball as a child and youth and probably came close to the 10,000 hours playing a game that flipped, tilted, kept score, gave replays, and made a whole lot of noise. His favorite pinball game was Apollo. David is currently creating a prototype of a game on engaged wellbeing for personal, organizational, and community benefit loosely based on the architecture of honeycomb construction by honey bees in their hive. Even so, I can sense my own push-back when I hear “gamification” (My mind goes immediately to Angry Birds.) Your article has helped me examine that bias and reframe it as a way to stay current in the learning and development field. I am pleased it was helpful. Gamification can be quite “gamey” at times and yet may offer lenses and practices that create more engagement and flow with our tasks and with others. Hi David – When are you next back in the UK? There’s a new game in town called Gamification and it would be good to play over here and see who’s ahead and who is behind (or just not playing!). In response to your blog, and the great clips, here’s my thoughts plus some recent thoughts from our own blog (with Ian Buckingham) on games and game theory. Gamification or Playing Games at Work? Let me start with the questions and my answers that I want to finish on. Q1 Is it ‘gamification’ that is being asked of organisations as a process of cultural change, or just introducing ‘games’ to solve issues? The former is the real challenge for me; the latter is a part of an involvement strategy. Q2 In a competitive world where it’s a game of ‘Predator or Prey’ (just one of the games in Brand Champions, the book by Ian Buckingham) if you aren’t playing and enjoying/loving/engaged in the ‘work’ game what are you doing there anyway? So if organisations can’t make people’s work a part of a greater game they are playing, then the outcome is the one we now know (MacLeod Report et.al.) of poor business performance linked to employee performance. Jane McGonigal was both entertaining and thought provoking in the highly stimulating TED video, and we now have a new slant on how gamification applies to work with her four outcomes in a gaming theory. The good thing is this will all add to the buzz about engagement and how to achieve it. Yet having spent many moons studying the motivation of people deeply involved in games, and having used games with clients (and invented my own for social use), my take on ‘gamification’ is that the language may be different but the rules of engagement are (or should be) the same between games and (let’s call it) work. A ‘great company’ with engaged people will have all Jane McGonigal’s criteria of 1/ urgent optimism i.e. you are fired up by the ‘vision and mission’ and feel part of the ‘goals’, both those set and those scored 2/ social fabric i.e. be a part of the deep values of an organisation run by a community that cares (sadly our UK Advocacy Rating benchmark puts the UK at only 29% of strong advocates for the ‘game’ their organisation is playing, with Gallup worldwide results pretty much the same for engagement) 3/ blissful productivity i.e. your day goes so fast you don’t notice 4/ epic meaning i.e. we feel we are truly, really, madly making a difference. This idea of ‘gamification’ of work isn’t new, surely. This has been happening for years in many organisations (but not all) under the guise of ’employee engagement’. We are de facto introducing ‘gamification’ as we look to build visions, missions, stories, pictures, involvement, workshops, rewards, recognition, champions etc. People can only be ‘engaged’ in something that has ‘human interest’ and if the story of any organisation isn’t one of a journey, where people play a part, then what is it? It’s all a big game. So the shift to this new language and approach of ‘gamification’ should not be hard to grasp intellectually but more difficult emotionally and financially. What will be hard, is to make ‘work’ become the ‘game’, when everyone is so serious about costs, bottom line, productivity, outsourcing, recession etc. Instead of these being part of a game as Jane is doing for example in Superstruct these become the parent/child approach of boss/employee encounter that spoils or stops the game “so you can stop playing and do some real work”. Work should not be fun – discuss. What’s worse was the game of ‘Sub-Prime’ that the financial institutions played (and governments let them) with our economy, and lives, was all too real, with a disastrous ending and a new title of ‘Credit Crunch’. I bet the former ‘Masters of the Universe’ were all the things Jane has discovered, and they were playing with real money and real lives and real economies. So is it ‘gamification’ of the whole organisation, or ‘playing a game’ to solve issues? Only 33% of CEO’s are involved in applying ‘engagement’ according to a Scarlett International survey. They don’t want to play the engagement game! Our job/task/quest/challenge/ must be to get the C Suite to come and join the engagement game. Then they can really play Games Master and take engagement to the next level. Ian Buckingham and I are working on a new game shortly to do just that based on the game in Brand Champions called ‘Predator and Prey’. Wanna join and play with us? Down the years, we have developed a range of engagement approaches that embrace game theory. These include the use of scenario modelling and forum theatre. Ian describes a number of these approaches in Brand Champions. Two of the games we’ve developed include the storytelling-based executive role-playing game Brand Champions™ designed to mobilise change agents as part of a transformation programme. The other is Brand Challenger™ a powerful strategy development and future-based scenario-planning game that engineers and then resolves a crisis stimulating innovative thinking and teamwork. The Challenger™ product helped a global insurance company generate game-changing innovations within its product set but most importantly unleashed the untapped potential of their first line managers, transforming the culture within the space of 18 months. It is helping transform the branding model of an FS challenger brand and helped the senior executive of a utility company position the organisation credibly as a true challenger brand. The Brand Champions™ game has helped executives within the petro-chemical industry transform the way they develop strategy and communicate health and safety, with remarkable early impact on their core performance figures. It has helped an “under-siege” tourist board permanently change their culture by creating a network of champions and rapidly bonded a senior team within the building industry to cope with the recent economic downturn and to stay several steps ahead of an aggressive corporate takeover. In each case, we were able to create a “safe place” through the medium of scenario-based game playing, that enabled the participants to be critical but constructive; to make suggestions but take responsibility for implementing them and, most importantly, to generate solutions to very pressing business challenges and own them as a team. Not sure when I am back next to UK, hopefully soon, “I am game for it!” I appreciate the real game focus of this comment. Games certainly are not new but somehow the time has become ripe and we keep needing “new” images or metaphors to look at timeless issues. I think it will be time to have Ian on an employee engagement webinar in the fall.